What’s up everyone? So glad you’re here with me for another episode of Love At Home. I want to bring you something today that will help increase that love in your homes, in your life, with your friendships, family members, and just day to day living. 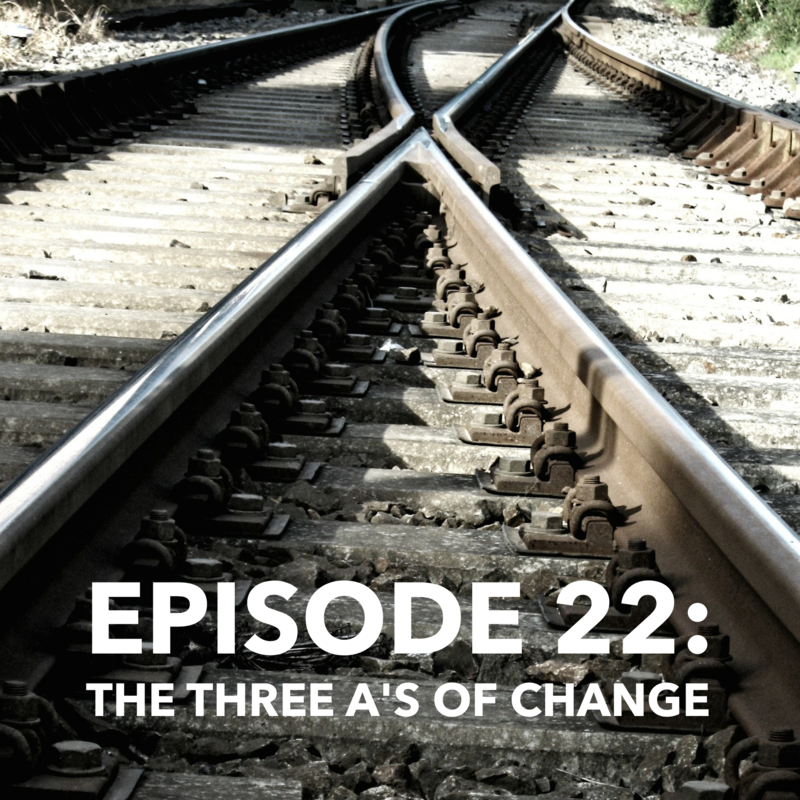 Today we’re talking about change but not change in the way you might be thinking. When we hear the word change we think big things, like, moving, or starting something new, trying something new, a new job, a new class, a new calling. This will certainly help with those big things too but more intricately the change I’m talking about is feelings, learning to shift from feeling to feeling without resistance and without a fight or argument that you shouldn’t be feeling the way you’re feeling. This concept is a life saver for me. It was one of the first tools that I learned about that really started a huge transformation in my life. One of the biggest things that pops up in our mind’s when we hear or think change is how. We want to know how. We read things, hear things, see others do things and we think, “yeah, I can see how that’d be really helpful” but then we go right to, HOW? HOW do I do that? I want to shift your perspective into skipping the HOW at first. Don’t freak out. The HOW is very important but it’s not first and THAT is one of our biggest issues – we get things out of order and it creates all kinds of problems. Today I just want to share the CORRECT order to make lasting change. This is my three step method for making the changes you want in your life – most especially the feeling changes we want in our lives. My clients tell me a lot of things they want in their lives. They want more money. They want more time. They want better friendships, closer family relationships. They want a bigger house, a tinier body, a cleaner, more organized house. Are you nodding? Are those some of yours too? It’s okay to want. I’m all for wanting because it gives us a direction to point towards but what’s different about my coaching and other’s out there is that I don’t have you start with the how because really, deep down what you want isn’t any of those things. What you really want is how you think you’re going to FEEL once you get those things. When I have more friends, for example, I’ll feel more confident and liked. When I have a clean house I’ll feel at peace. Confidence, security, peaceful – these are things we really want. So I teach you how to get what you really want first. I teach you how to genuinely feel these feelings ahead of time while you work towards those goals. This is where my three A’s come into place. We can’t jump straight into the how – into the application until we really know what we’re aiming for or what’s blocking the feeling we want currently. For example, I might be feeling really overwhelmed. It’s a busy season, there’s a lot on my to do list and something going on every single day. And when I feel overwhelmed I stress and run around all frazzled and it doesn’t feel good and I don’t want to feel this way so I try and change it so I can feel happy. A lot of look for ways to get us to happy. We eat sugar, we shop, we might try a lot of things but they’re not working because I’m getting things out of order. I’m trying to jump to the third step first and it doesn’t work. So we start with Awareness. Before the how, before the step by steps, before the check boxes – First, comes awareness. You can’t change anything if you’re not aware of it first. we think we know what’s going on with us. We think we know what we want but when we start to inquire, we find out that what we really want isn’t a clean house. What I really want is to feel at peace, to feel content, to show up loving and when I do show up loving, it’s amazing, the house is much more likely to get cleaned because people tend to want to come out and serve and help and be around loving people instead of frustrated, crazy mom who is yelling to get things done. So start with awareness, you have to inquire and really figure out what’s going on. Why is this a problem for you in the first place and what’s the feeling you really want. Once you find the root cause, once you become aware of what you want, you can’t help but want to find a way to create that for you. Be curious. Allow yourself to ask questions, even questions you think are obvious. This last week my two oldest were sitting down to do an art project with me. My son had both his elbows on the table and was taking up quite a bit of space so when my daughter sat down she was immediately frustrated because she didn’t have the room she wanted. Notice, she wanted change but was resistant to it because she didn’t really have the root cause yet. In her mind it was obvious what the problem was. HE needed to move. She wanted to change the circumstance to make her feel better but if you’ve been listening in for a while you know that I clearly teach that circumstances don’t make us feel anything. It’s our thoughts about the circumstance that make us feel frustrated. So I asked her a lot of obvious questions but this amazing thing happened while we talking. She didn’t really want him to move. What she really wanted was to feel comfortable. Once she became aware of what was going on, what thoughts were creating the frustration, what she really wanted, she could start making the change that she wanted. But it had to come in the right order. Sometimes we hear the word acceptance and we feel resigned almost like, I guess I have to just accept it that this is the way things are now. And that’s not what I’m talking about here. Notice, favorable – not resentful or resigned. Acceptance is a gift you give to yourself. Think about some things you’re resistant to. What do you think about? How do you feel when you’re resistant to it? What do you do when you’re resistant to it? We are resistant to a lot of things – daily there’s something to be resistant to. Whether that’s being in the slow lane on the freeway and every other lane is moving except yours. Whether that’s family members not doing what you think they should be doing. Maybe it’s your own body not looking or feeling the way you think it should. Thinking someone should do something for you and they’re not? Or they should STOP doing something? One of my go to – absolutely love thoughts I use is: “This is my favorite.” I know, it sounds kind of funny at first but it really works. Thinking this thought gets me out of resistance and into acceptance – into working the circumstance favorably as if I had chosen it. When we were in Disneyland I used that go to thought a lot. We went to Disneyland years ago during Thanksgiving week and I swore at that time that I’d never go back during that week because it was so crowded and uncomfortable. I didn’t like it. So when my husband suggested we go again this year I was resistant to it at first. Then I did some thought downloads and cleared up my thinking and got really excited to go. When we were there it was packed. The app that I had showed that the park was at like 98% capacity. There were tons of people and a few times that I started to feel resistant but I just told myself, “oh this? This is my favorite.” And immediately by saying that to myself, it allowed this space for curiosity – how could this be my favorite? How could I look at this moment as if I had chosen it? I found several reasons why it was my favorite. We got to meet and chat with new people. We got to hear tons of accents from people all over the world. We got to share in this joyful week with so many happy people and see how they interacted with each other. When we in long lines and I started to feel resistant to it, I just said, “Oh, long lines? They’re my favorite” which immediately prompted the question in my mind, how are long lines your favorite? How could you accept this moment as if you had chosen it? Because I asked myself those great questions, my mind – which is incredible – all of ours are – came up with great responses. It’s my favorite because I get to play games with my kids. We get to spend so much time together in excitement for what’s to come and anticipation. We played 20 questions like the entire time. My kids never got tired of it. We all took turns and got really creative. It was so much fun. And when I look back if I could have chosen between getting on all the rides super fast or waiting in lines – which really weren’t even that long considering the week and the crowd index – I would choose the wait – it is exactly how I would want it – it really was my favorite. Spending that time together, seeing each other’s faces when they think they had the answer was priceless. I would choose that again and again. Acceptance is more than just resentfully resigning to – well this is what I guess I HAVE to do. I just HAVE to accept it. No, not at all – how could this be perfect for you? How could this be your favorite? Ask yourself those great questions and be curious to the answers – your brain will astound you with the insight and possibilities it comes up with. Acceptance is loving what is. Not just having to deal with it – it’s loving. I like to think about this as the resistance. We feel resistance – we experience Weltschmerz because we’re resistant to our circumstances. When we get our minds clear and in alignment instead of resistance we feel LOVE. And when we feel LOVING we act very differently than we’re resistant and frustrated. We show up as our best selves. Our minds are open to the next steps we need to take and we start living the way we want to. There was a time that I was frustrated with one of my kid’s teachers. This person is pretty different than I am. The things they say and how they go about doing things is just very different than how I would do things. They made comments that I regarded as tactless and rude. I was very resistant to them. I didn’t like them very much and tried avoiding them when I could. This wasn’t me showing up as my best self. This wasn’t how I wanted to act or feel. I needed to start with why it was a problem for me in the first place. I knew that the things they said weren’t things I would have said and it bothered me that they said those things. Most people stop there. They don’t inquire further. It’s obvious but what if it’s not. I needed to dig deeper. Because THEY are a circumstance. What they SAY is a circumstance. Circumstances do not create frustration. My thoughts about it create frustration. So I did a thought download – I sat down with paper and started writing everything. I wrote down everything that had happened and what I thought about it and then I asked myself, why? Why is it a problem for me that this person said that? I wrote and wrote and wrote and became aware of all kinds of thoughts that I had not only about this circumstance but what I think about others in general. It was eye opening. Then I moved into acceptance – I wasn’t accepting at first – but I moved into the next step – This is my favorite – how can I look at this moment as if I had chosen it? Sometimes this step isn’t a fast one. Sometimes we stay here for a bit longer and that’s okay – there’s so much growth that happens in this phase. Don’t rush this step and stick with it, it’s worth it! I asked myself those questions and sometimes the answer was like, YES! This is how I can love and choose this moment and other times it just didn’t fit just yet so I continued to inquire. Because I had those lingering thoughts and questions open when I prayed, read my scriptures, when I studied conference talks answers flowed towards me. I read passages that spoke of forgiveness. I read quotes that shared that we go to church, we’re placed in families, we are surrounded by people so that we can implement and practice being compassionate. I sat with this one for a bit. I thought about it. We don’t practice compassion when things are going how we want them to go. We practice compassion when things aren’t going how we want them to go. It’s in these moments we have the opportunity to practice living this higher and holier way – we get to practice compassion. That experience with that person I was resistant to became a beautiful blessing for me. I felt love towards that person. I felt compassion towards them. I felt love and compassion towards myself and my humanness. It became my favorite because of the growth that I experienced during this process. I would choose that moment again because of who I became and what I learned. When we accept the moment as if we had chosen it – when we look at things and ask, how is this my favorite – we open a new door full of possibilities and learning. This step is such a beautiful one. That’s why I say, don’t try and rush through this – the goal here isn’t to feel good either – there are times when I don’t feel good but it’s still my favorite because of who I became in the process. There are things that happen in life that I want to feel sad or disappointed in. I wouldn’t change anything from those moments either. They’re still my favorite and above all – we can always access love and joy. When we feel this way it’s easy to know what the HOW is. The HOW shows itself. When we show up loving and feeling JOY – the kind that Heavenly Father intended us to have – “Men are that they might have JOY” – we know what we need to do. We know what the next step is. We can APPLY – and that’s the final step. Application. We’re too quick to want to jump into application. We want to dive straight into the HOW. HOW do I do that? HOW do I get to where I want to go? But we miss so much becoming by doing it that way and the becoming is the real reason we’re here in the first place. It’s not to just get to the Celestial Kingdom – it’s who we become in the process that qualifies us to be ready, worthy, and have a desire to be there in the first place. The steps are: Awareness, Acceptance, and then Application. Either way, it still gets you to the same place – making lasting change, becoming your best you in the process, and learning how to count it all as joy. Try it out this week – start with awareness – don’t just operate from default or auto-pilot – really dig deep and ask yourself questions. Get coached – I promise, it’s transformative! Sign up to work with me – I offer a FREE mini session if you’ve never tried coaching before – It’s not a sales pitch – it’s me doing what I love – it’s offering you tools, help, and awareness so you can become your best self. Then ask yourself, How is this circumstance my favorite? How can I look at this moment as if I had chosen it? Let yourself sit there and see how your thoughts evolve from Weltschmerz to love. Then apply with the lens of love.